Celebrating Active Aging Week comes naturally to RiverWoods Exeter residents. Developed by the International Council on Active Aging® (ICAA), Active Aging Week takes place every September and celebrates the positive aspects of aging today. The annual week-long campaign is designed to help older adults enhance all areas of their life — physical, social, spiritual, emotional, intellectual, vocational and environmental. At RiverWoods Exeter, Active Aging Week included a multi-generational walk/run event for residents, staff, and families. 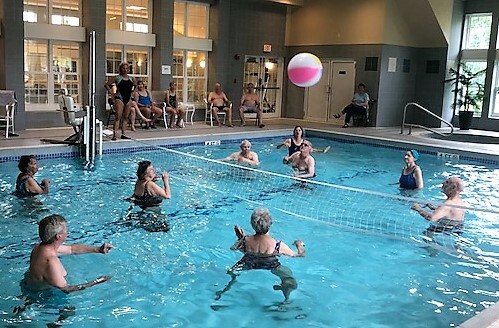 There was also kayaking, hiking, biking, Pickleball, ping pong, aqua volleyball and… when it was time to catch our breath… we took in several helpful presentations by expert speakers on topics related to health and wellness. Fun was had by all who participated! A big thanks to all the RiverWoods Exeter Committees, Campus Committees, Departments and Staff who helped make the week such a success. Most of all a big thanks to those who participated, learned, cheered, shared and helped! Community living at its best. The week kicked off with our annual Fitness Fun Fest. Pickleballers played straight through the allotted time, enjoying apples, cider, and each other’s company. In addition to Pickleball and Football, residents played Croquet, Badminton and some Bean Bag Toss. The week started off well! Hurricane Florence made her presence known with a strong downpour on Tuesday morning and the Trail Trek was postponed to the following week. Frank Furdyna (Woods Resident and member of the Trails Committee) and Bill Trainer (Woods Maintenance) headed up the trek a week later with eleven. 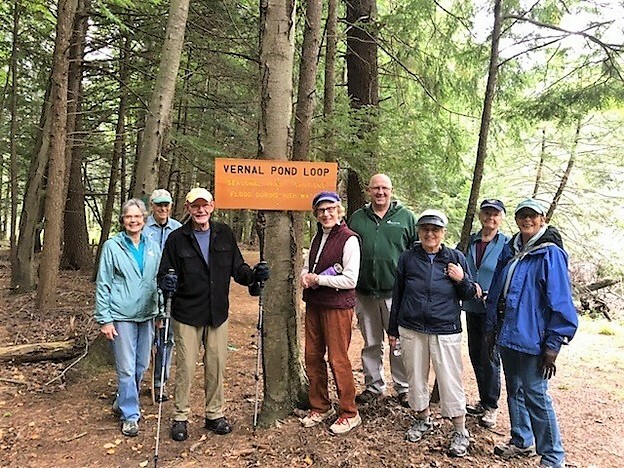 The group picture at the top of this article was taken by one of the wonderful signs created by Woods Resident and RiverWoods Exeter Trails Committee Chair, Jon Thunberg. Rain shortened our hike, but everyone had a wonderful morning. Tuesday afternoon, Vivian Lefebvre facilitated a fun Aqua Volleyball Tournament. Sixteen residents participated with spectators to cheer them on. Vivian broke the group into three teams — the Rays, the Sharks and the Swordfish. Every team won at least one match, but the Rays ended up on top. Eight residents headed to Bellamy Reservoir for a beautiful morning of kayaking. It was a cool day, but the sun came out for a gorgeous paddle. One resident was able to paddle up to a great blue heron on the shoreline and look up as it spread its wings and flew directly over his head. Dave Lawson from Landscaping was on hand to help residents in and out of their boats, as well as provide support for the whole trip. It was a grand morning. Just as the kayak crew was pulling up to the curb, Marc Cole and Doug Danforth were working together to launch the Ping Pong event. Marc set up a nice series of matches and residents had a great time. Everyone was impressed by the excellent playing of Doug Danforth and Stu Lewis, both from the Woods. Look for another tournament later in the year, scheduled with fewer conflicts. The last two days of the week included a marvelous, nine-mile bike trip that was planned out by Steve Swenson. 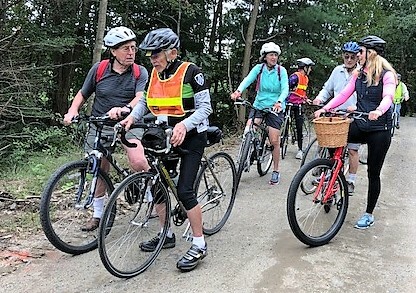 Eleven people set out from the Rockingham County Complex and wove their way around a gentle, but still true-road ride. Helmets dawned, bikes tuned, the group paused here and there to ensure everyone was together and having fun. Heidi Savage and Kate Bolduc joined the trip and had a great morning. The trip concluded with a few riders enjoying a cup of Joe together and discussing plans for future trips. Saturday’s Fun Run was an appropriate final event for the week. Whether cheering from the curb, handing out water, checking in registrants, or walking or running the race, it was a great display of an event to promote healthy living at any age. 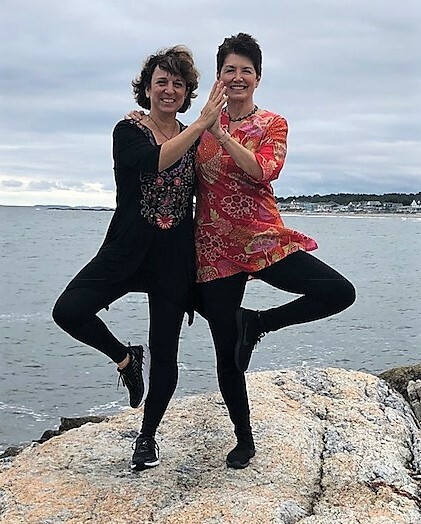 Peggy Cappy, a PBS Celebrity and respected Yogini, spoke about the reality that much (not all) of our discomfort may be attributed to muscle imbalances that are developed in the body through overuse and underuse of muscle groups. Having studied with Structural Therapist, Lee Albert, Peggy shared simple stretches that can be done to bring more ease to problem spots like the shoulders and hips. The film, a documentary that covered over 3000 years of living (by the many individuals interviewed and cameoed), was a showcase of various people sharing powerful stories of love, family, friendships, trials, triumph and what matters most. It is not material things that bring contentment and fulfillment, but a life well lived. Stories revealed people who recognized the richness that comes from relationships, experiences, pursuing passions and living in the here and now. On Thursday evening, Dr. John Randolph, a board-certified neuropsychologist, tackled cognitive wellness. He outlined three venues of activities that contribute to cognitive wellness—physical activity, social activity, and activities of learning that challenge the brain. Regarding exercise, Dr. Randolph had much to say and noted that variety, intensity, and consistency are critical components of a solid exercise program that will impact brain health in a positive way. For social activities, introvert or extrovert, intentional “dosing” of socially-engaging activities are critical for brain health. He even noted that attending a fitness class would have a double impact on both the physical exercise and social wellness fronts. Cognitive activities were their own category and Dr. Randolph pointed to the importance of learning “new” things such as musical instruments, educational classes, trades and crafts. Other notable lifestyle choices to improve or maintain cognitive health includes a healthy diet, management of stress and proper amounts of sleep. In the case of sleep, both too little and too much sleep was noted as not helpful. 7-8 hours seemed to be the magic number. This was RiverWoods Exeter’s second year of celebrating Active Aging Week. If the intent is to change the way people think about aging, RiverWoods seems to be leading the charge. 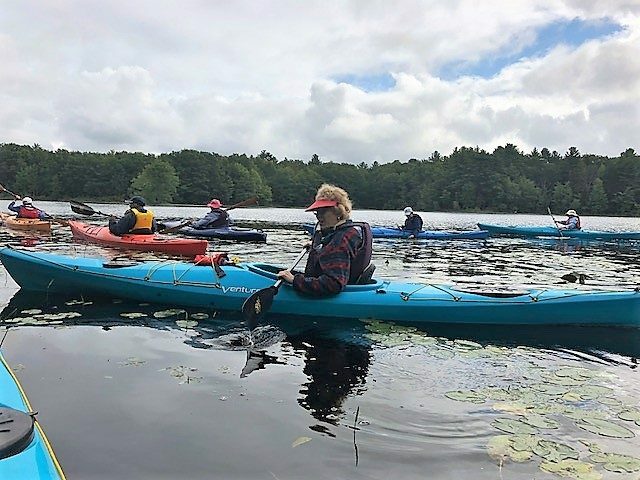 From Kayak trips to catching footballs, to fun competitions to a morning road ride on bikes, our residents are engaged, active and living life to the fullest!